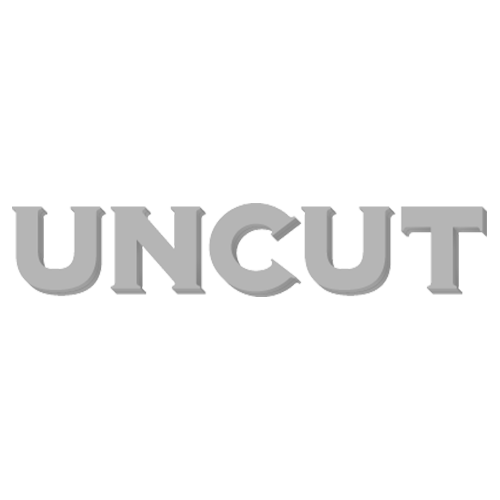 The clock was ticking yesterday afternoon as we approached the final deadlines for the next issue of Uncut. But we were finished early enough for me to rush hot-foot across London to The May Fair hotel, near Hyde Park, where Leonard Cohen was due to present a playback of his new album, Old Ideas, to a specially invited audience. I didn’t know the hotel by name, but recognised it as soon as the cab pulled up outside. Many years ago, Neil Young had kept me waiting for an unseemly number of hours while he attended to some urgent business or other, our allocated interview time dwindling with every passing minute, not much of it left at all when I was finally summoned into his suite with an imperial indifference to how long I’d been cooling my heels and staring at the walls, quietly fuming. There was no such slack time-keeping last night, things starting as promptly as promised with the appearance of Jarvis Cocker, here to first introduce Cohen and then, following the album’s playback, interview him. Cocker fair bounded into the room, carrying a large tub of popcorn and a carrier bag, and looking with his beard and corduroy jacket and slacks like a lecturer at a provincial art school in about 1972 or someone about to present an Open University programme on town planning and traffic flow systems. He stood on a little podium, facing the audience, and was quickly joined by Cohen. At 78, the great songwriter appeared uncommonly dapper in an elegant suit and rakish trilby. “How is to listen to your own records?” Cocker asked him after the album had been played. “I wasn’t listening,” Cohen told him, smiling. Cocker made some vague comments about the way in which Cohen had always framed his voice with arrangements that supported its limitations, which he thought had been clever on Cohen’s part. Cocker mentioned the deepening with age of Cohen’s voice, which often on Old Ideas sounds like it’s reaching us from the bottom of time. “You work with what you have,” Cohen shrugged, which got a laugh. “It’s what happens when you stop smoking, contrary to public opinion. I thought my voice would rise to a soprano.” He later mentioned he was looking forward to taking up smoking again when he was 80, and touring if for no better reason than it would give him an opportunity to “smoke on the road”. Cocker noted that the new album shared its title with the name of Cohen’s song publishing company. Cocker pressed him to explain how he wrote, where his inspiration for songs came from. Cohen was unforthcoming, almost superstitiously guarded. Cocker wasn’t to be put off and a little later returned to the same question. This time Cohen was a little more adamant. Cocker was more specific. He referred to “Going Home” and a line that mentioned ‘the penitential hymn’, which Cocker thought somehow summed up much about Cohen’s work. A song called “Banjo” opened with a startling image of the instrument afloat on an ocean. Had Cohen actually seen such a thing? Cohen was shortly to receive the PEN New England Award for literary excellence in song lyrics. He was excited that Chuck Berry would be a co-recipient. He talked elsewhere about how unexpected the response to his last tour had been, how the affection and acclaim that had come his way had invigorated him. “I’m not insensitive to that kind of appreciation. And when the tour finished, I didn’t feel like stopping. So I wrote this record. Before the tour, I hadn’t done anything for 15 years. I was like Ronald Reagan in his declining years. He remembered he’d had a good role in a movie, as president. I felt somewhat that I had been a singer. Being back on the road re-established me as a worker in the world. That was a very satisfactory feeling. There was a question from the audience about his thoughts on destiny and fate. Someone pointed out that it had been eight years since his last album, Dear Heather. Between albums, did he continue to write? “You got me stumped there,” Cohen said, and laughed again. Several people were now trying to get his attention, hoping he’d elaborate, which he finally did.